NIS America today announced the western release date for Lapis x Labyrinth. The game launches May 28 in North America, May 31 in Europe, and June 7 in Australia / New Zealand. 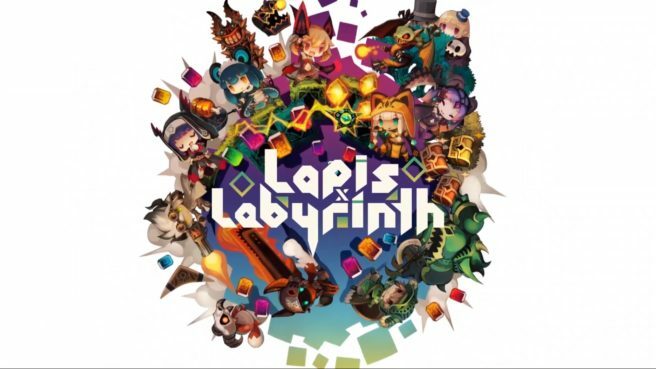 The Lapis x Labyrinth x Limited Edition will be available at retail as the only physical releases. – The Power of Dango – Select between 8 unique character classes to build your party, from the mighty Destroyer to the swift Hunter! Stack up to 4 characters and swap between them to unleash different attacks, or make a united assault against your enemies! – FEVER TIME – Rack up the points and stack up the riches by unleashing Fever Mode! Defeat enough enemies to activate a special mode that rains pain upon your foes and showers you with tons of loot! This contributes to your score at the end of each level, which results in even MORE rewards! Huzzah! – What’s Reward Without Risk? – Powerful fiends and hordes of ferocious creatures stand between you and the treasure. With over 100 different monsters lurking within the labyrinth, you’ll have your work cut out for you! We have a new trailer for Lapis x Labyrinth below.